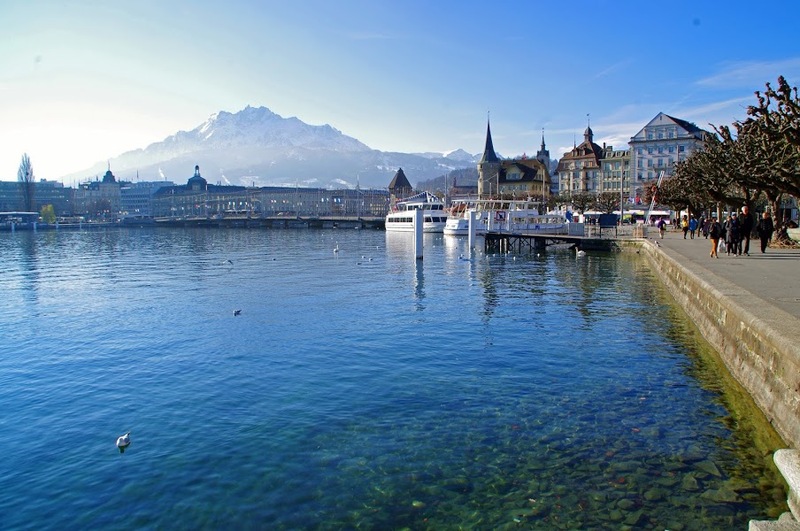 After visiting the true city of love, Paris for our first anniversary we decided on naturally beautiful country of Switzerland for our second anniversary. 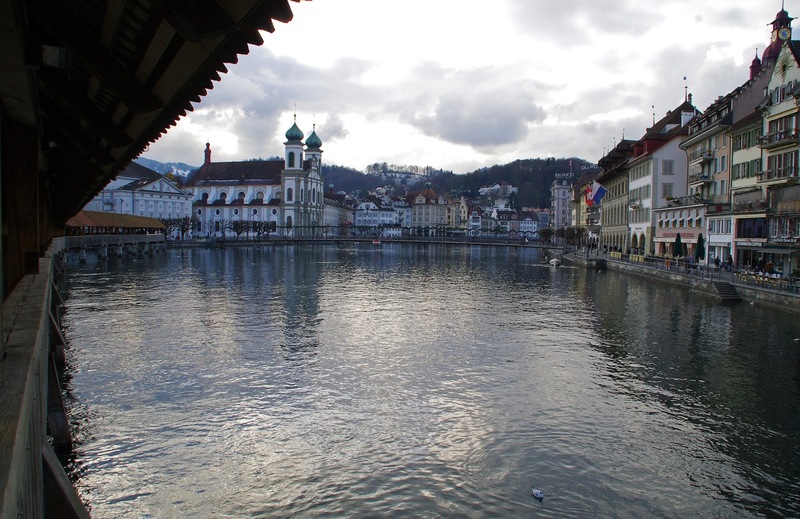 After falling in love with Grindelwald in the Swiss Alps we then headed to the lovely city of Lucerne. 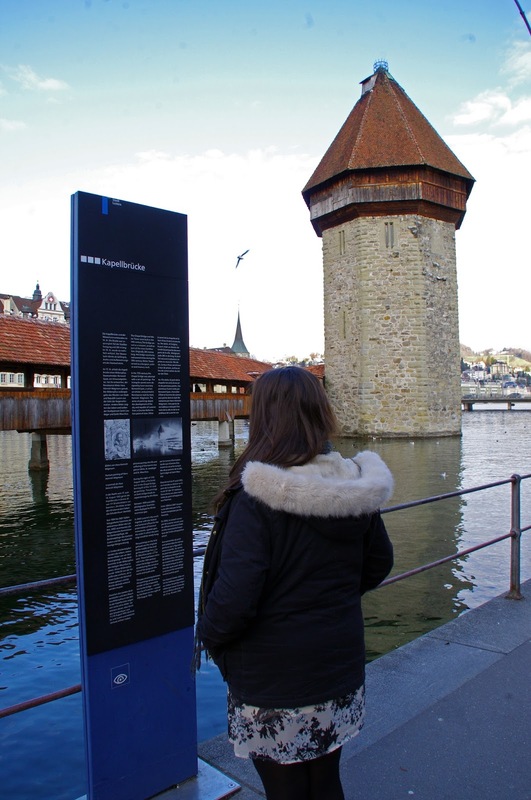 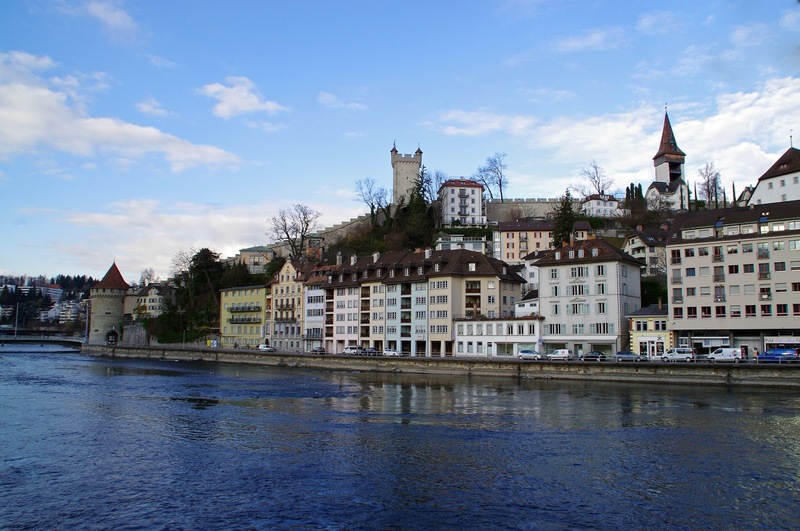 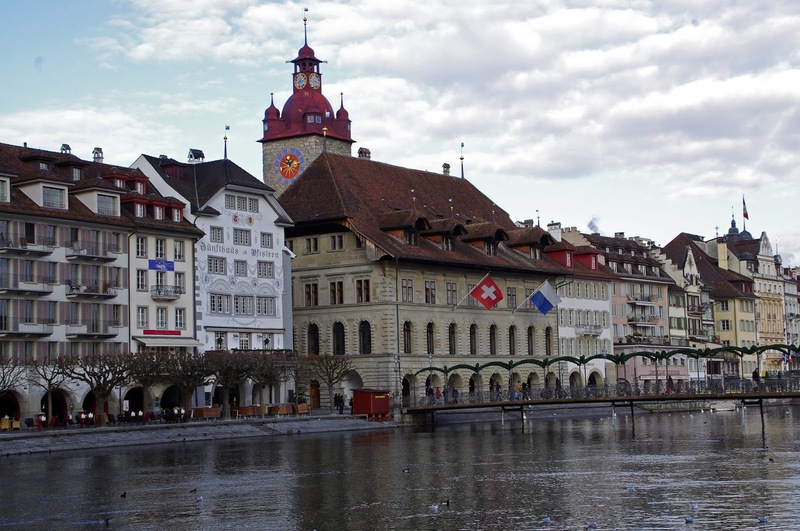 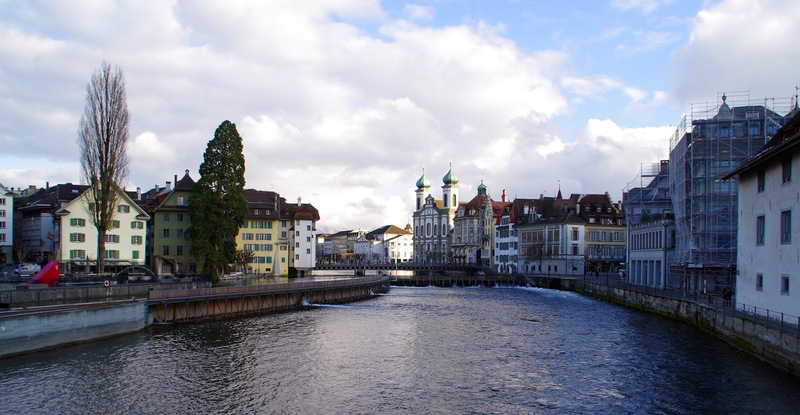 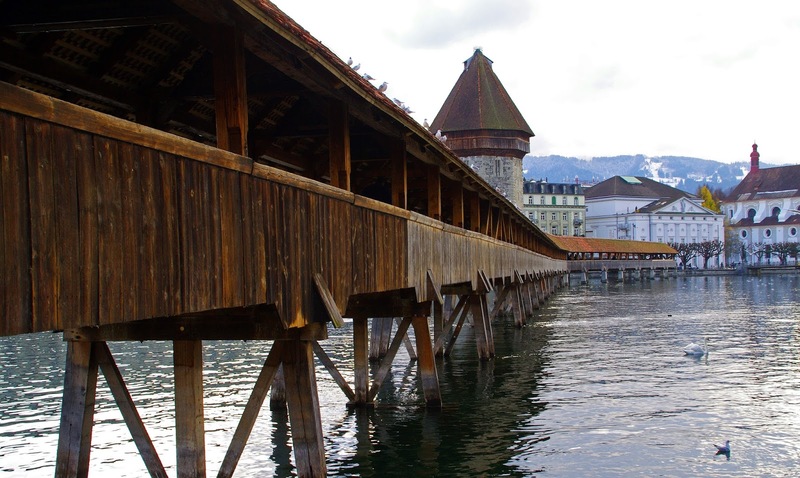 I visited Lucerne on my Contiki tour in 2009 and had good memories of it so we decided to visit it together! 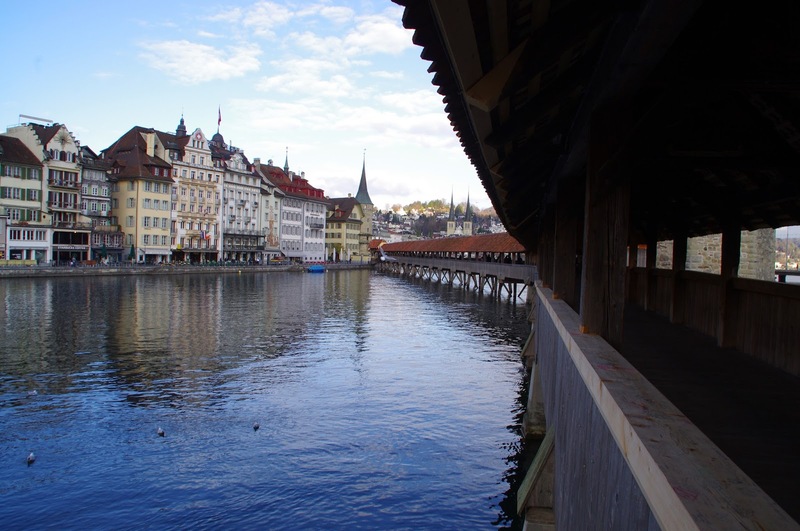 Lucerne is such a lovely city that has so much character, lovely buildings and a wonderful atmosphere in addition to its natural beauty and we had a wonderful time exploring her beauty. 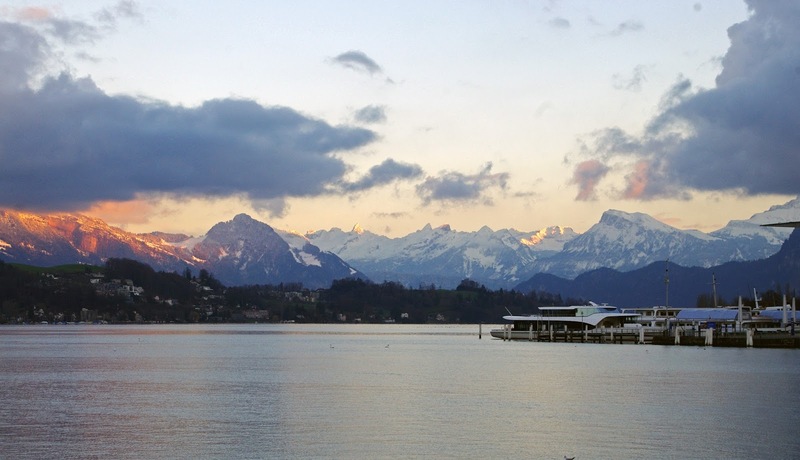 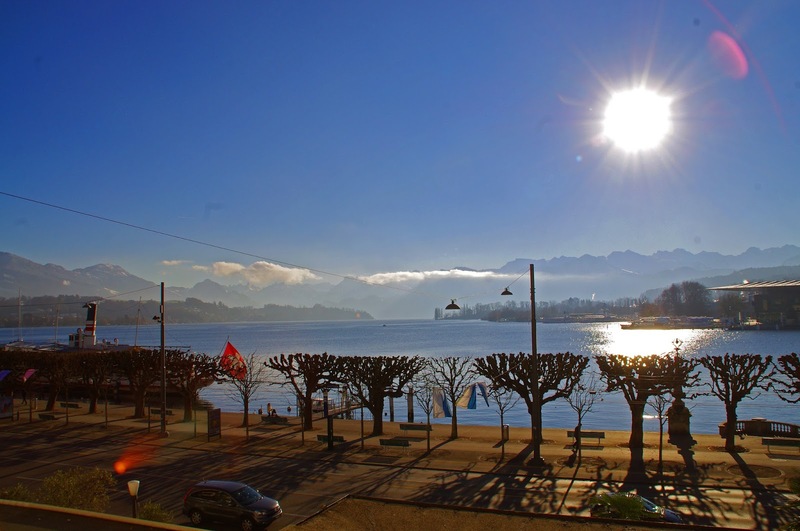 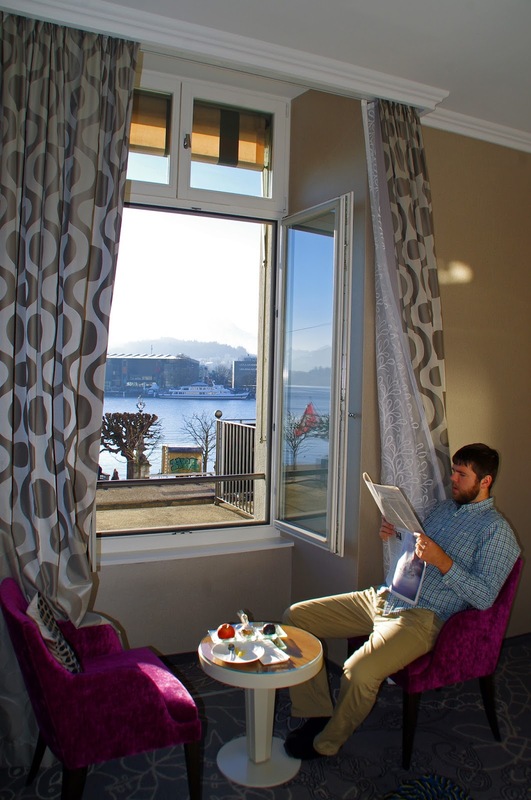 We were staying at Hotel Schweizerhof Luzern which was perfectly located in central Lucerne and offered the most stunning views over Lake Lucerne, the snowcapped Alps and city. 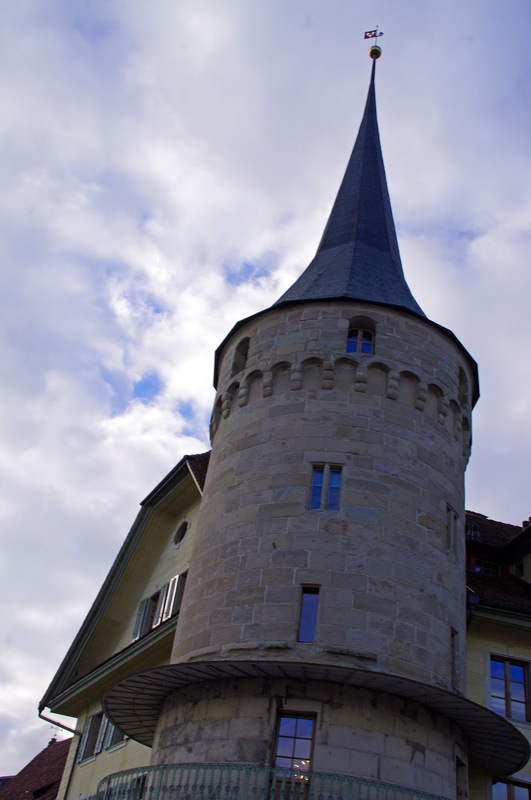 The hotel epitomises elegance and luxury and we really enjoyed learning about the historical aspects of the hotel which it prides itself on. 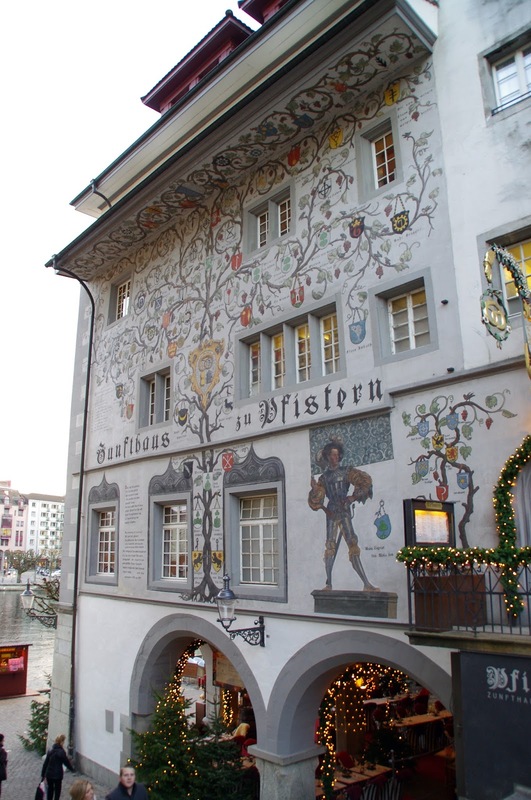 It was a wonderful hotel and we thoroughly enjoyed our stay there. 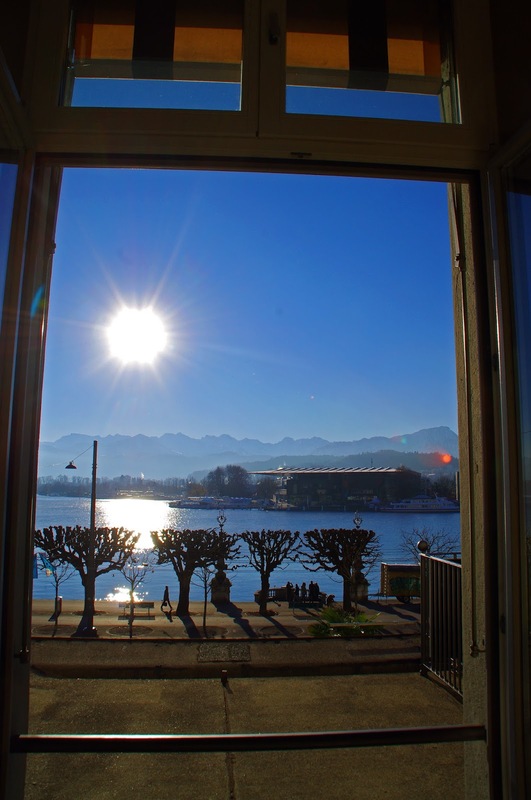 When we finally dragged ourselves away from our luxurious room and the incredible views from our windows, we wandered across the road to the lake and strolled along the lake soaking in the winter sunshine and admiring the gorgeous view across to the snow covered Alps. 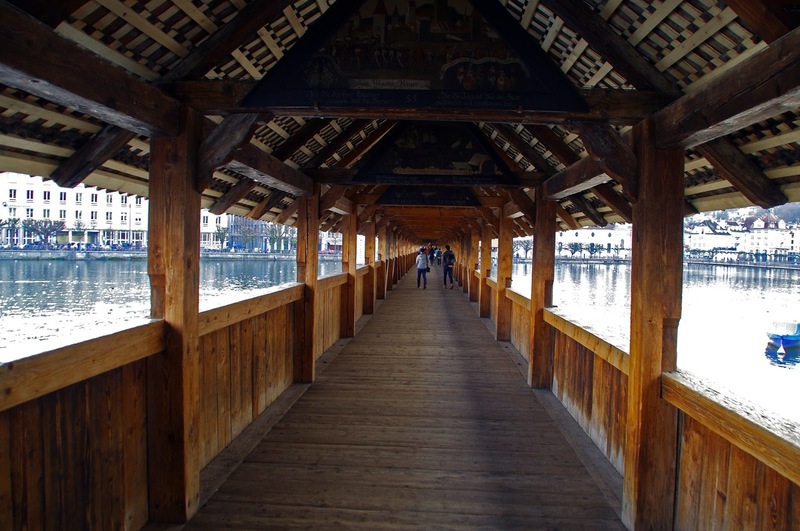 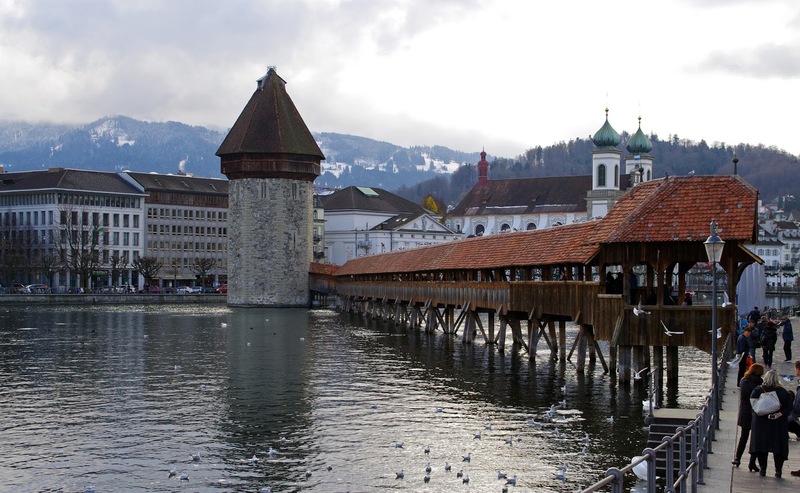 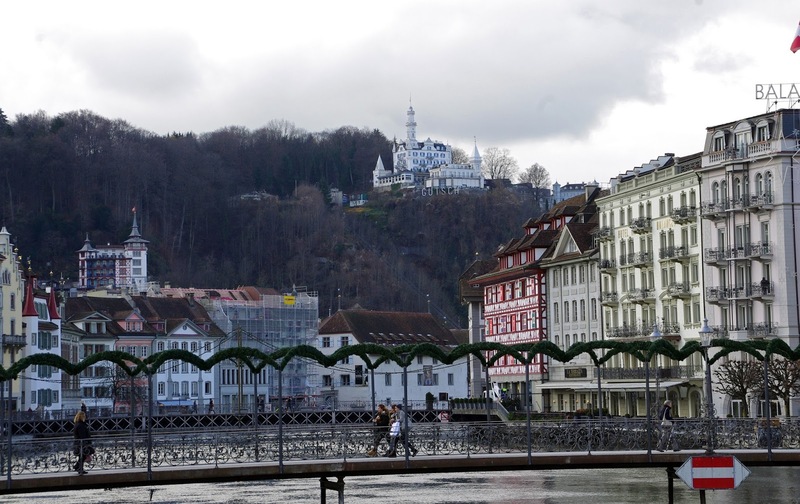 We wandered into the old town stopping to admire and walk across the Kapellbrücke or as we know it, the Chapel Bridge which is a gorgeous wooden bridge located in the centre of Lucerne. 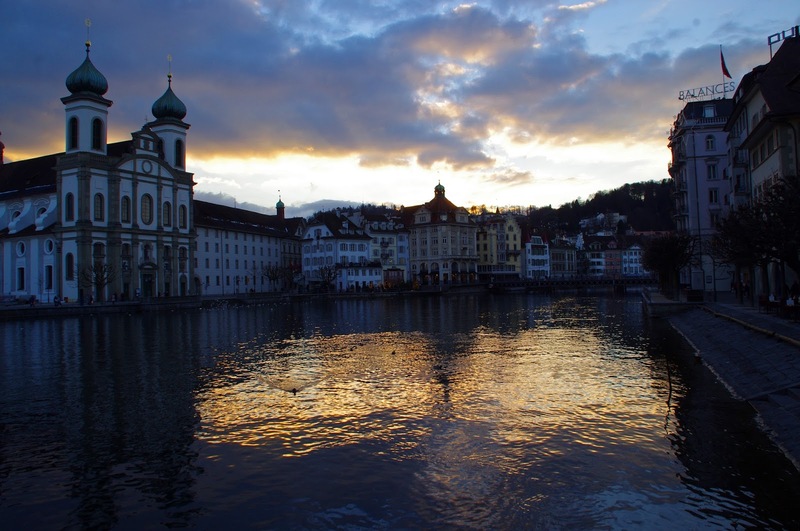 Lucerne’s Old Town is beautiful. 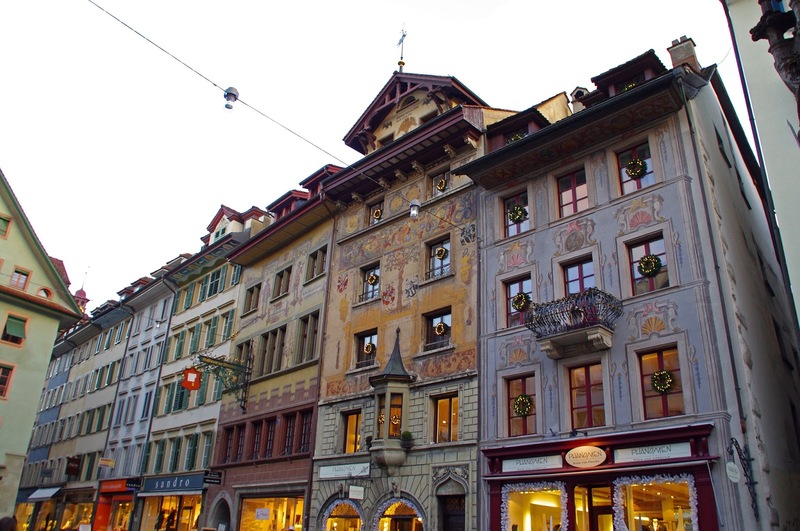 We loved strolling the cobblestoned streets admiring its charming buildings and the unique beauty we discovered around every corner. 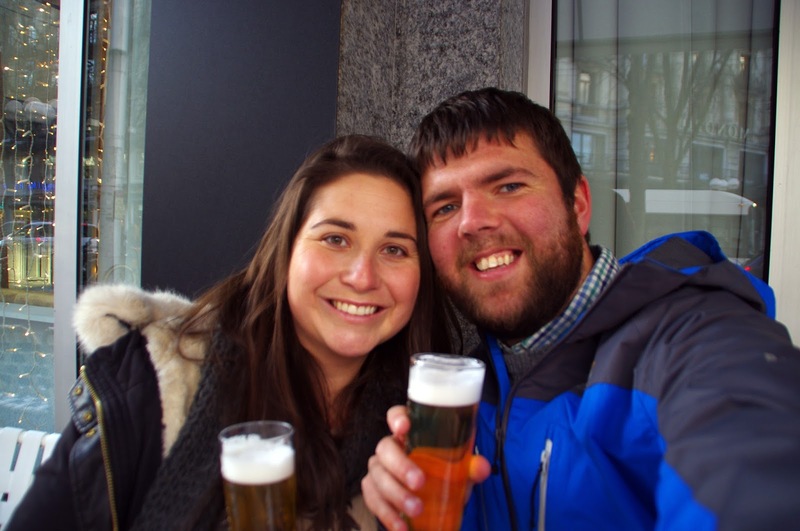 It was pretty chilly so we stopped in the Old Town for a quick beer to try and warm up before continuing our sightseeing. 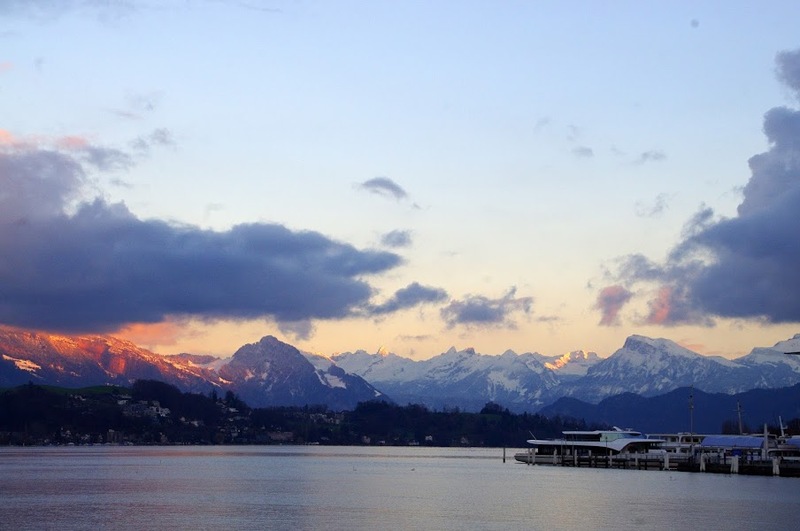 We were lucky enough to catch this magical sunset over the Alps and lake which was absolutely stunning. 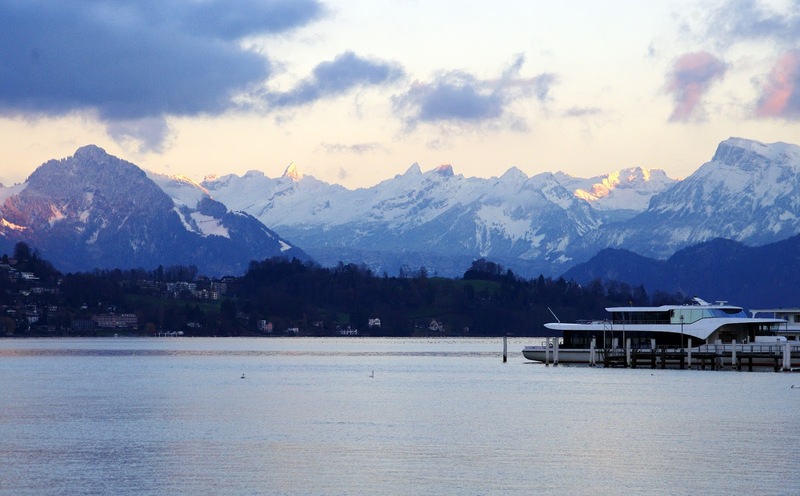 On our way to dinner we strolled along the lake. 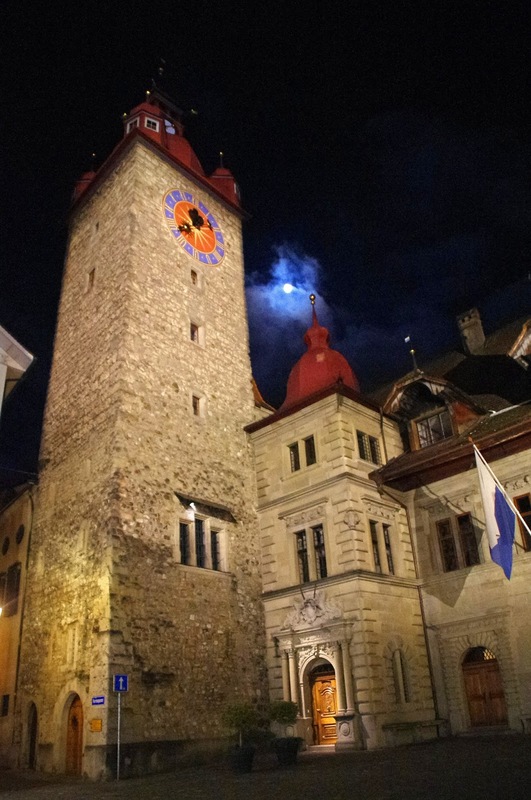 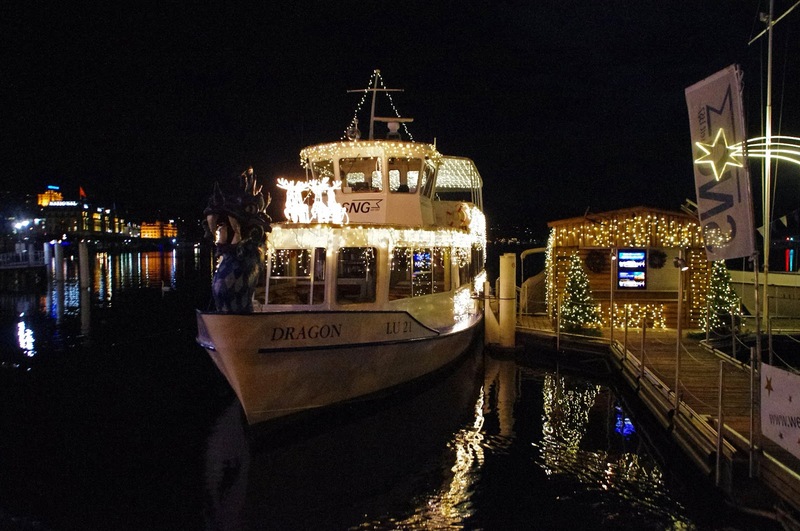 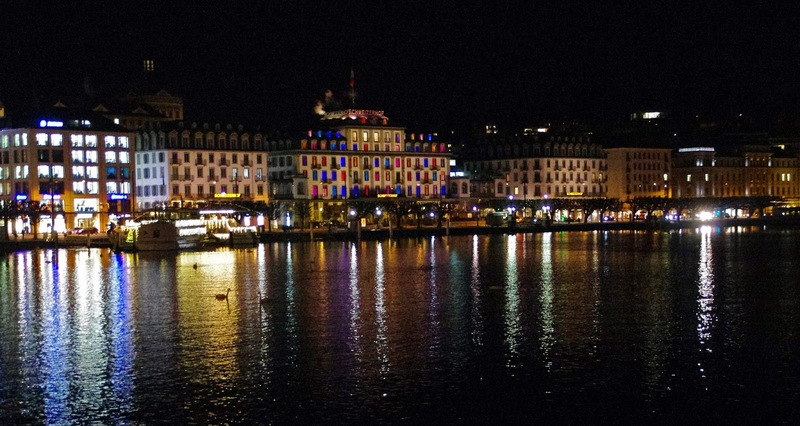 Lucerne really is such a beautiful city by day and by night. 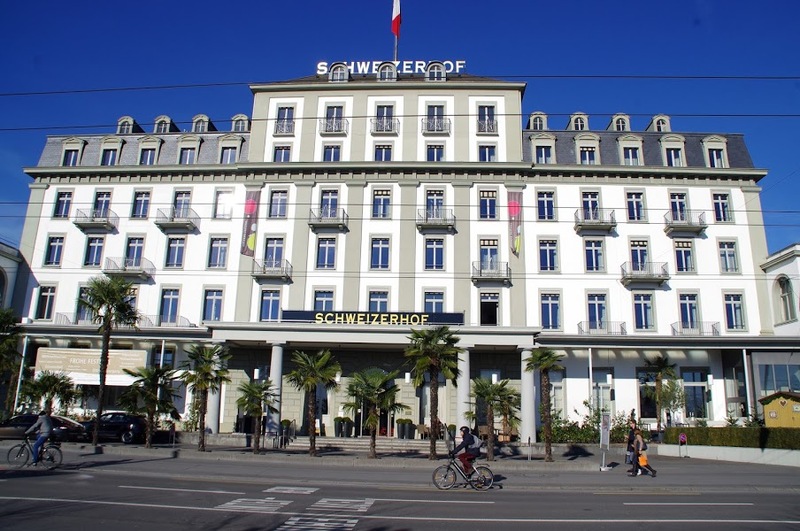 We loved seeing our hotel, Hotel Schweizerhof lit up in its bright colours! 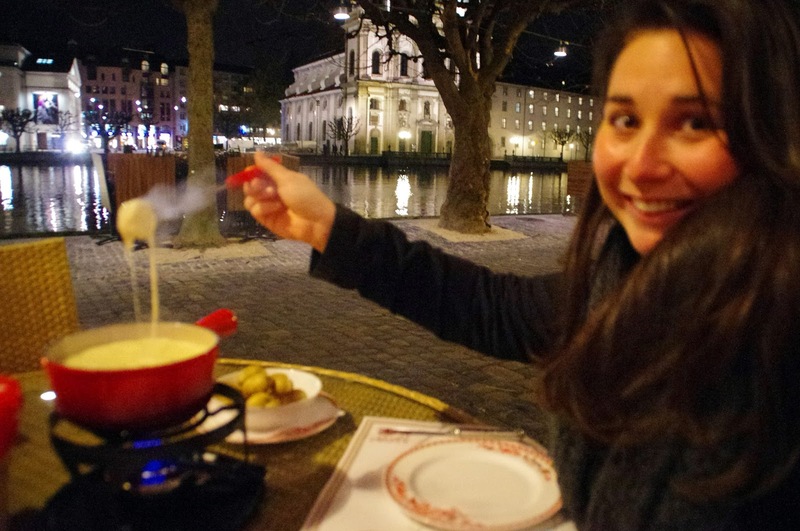 As it was our last night in Switzerland we decided we couldn’t leave without having a cheese fondue! 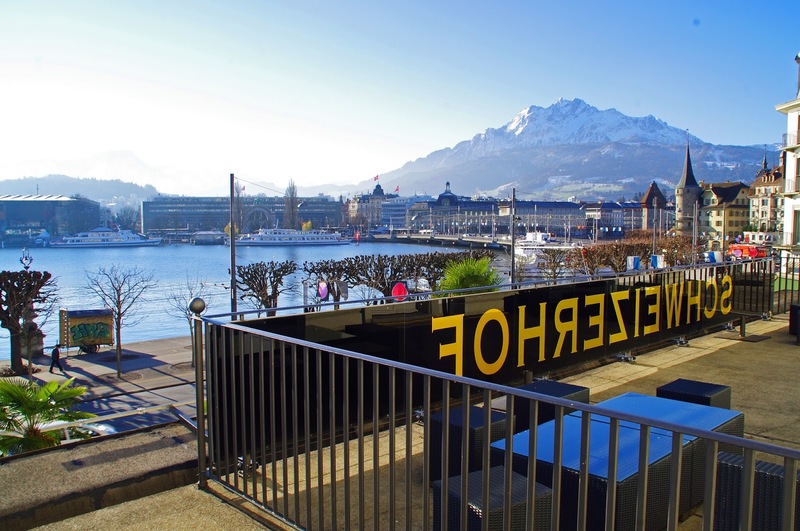 We wandered past numerous waterfront restaurants until we found La Barca which had a good atmosphere, wasn’t too busy, had a good view and had plenty of fondue on the menu. 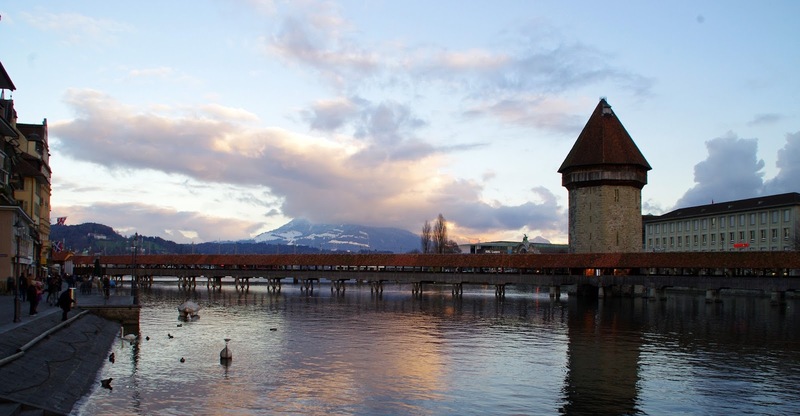 We settled down for the evening to this magical view over the Chapel Bridge. 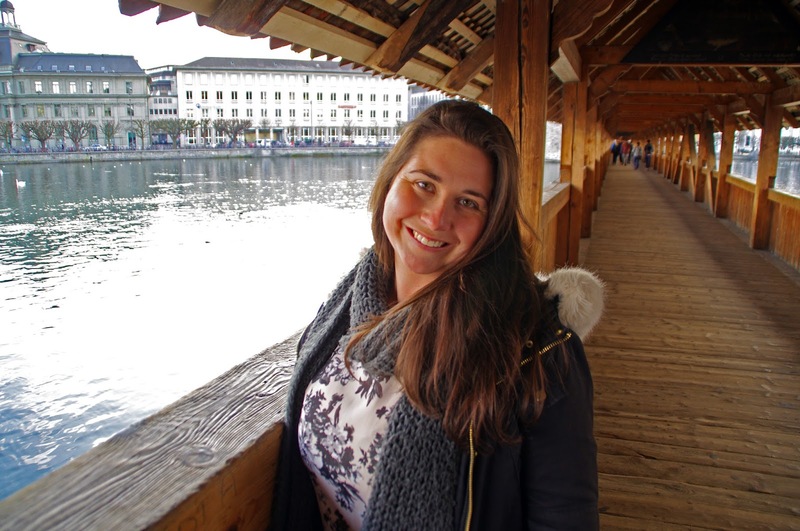 We took it in turns until we literally could not eat any more… I am a total foodie and LOVE cheese but even I couldn’t finish our saucepan of cheese! 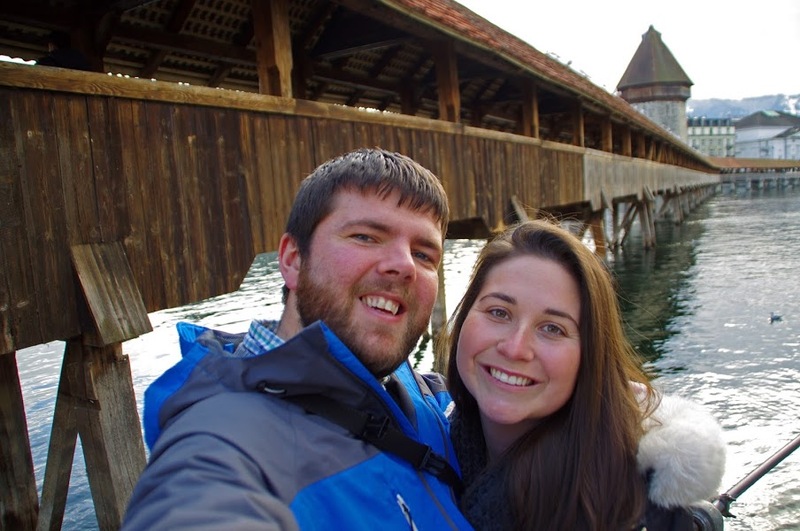 I’m glad we ticked Cheese Fondue off the foodie bucket list on our visit as I would have been disappointed if I left Switzerland after my second visit and still hadn’t tried fondue. 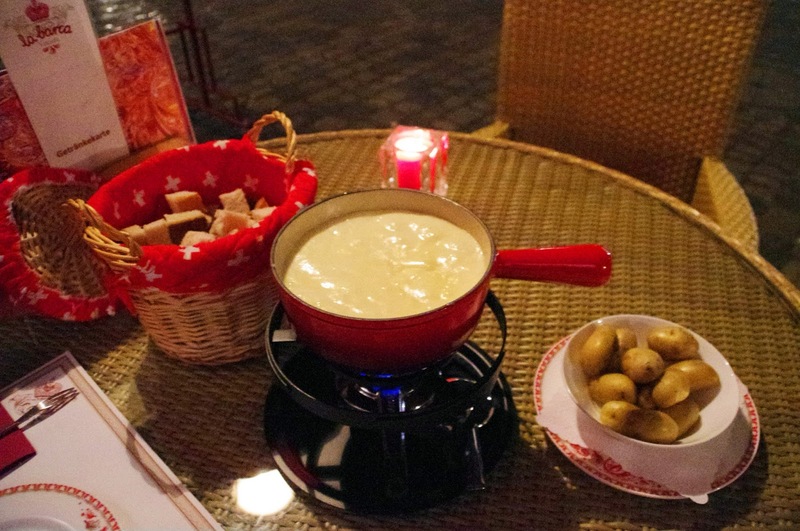 We did enjoy our cheese fondue but my recommendation would be to share it between more than two people or risk a cheese coma! 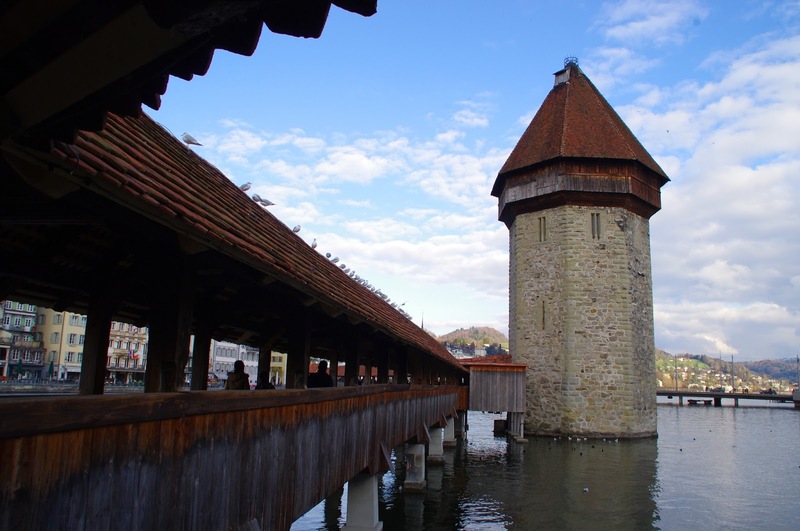 Whilst we didn’t fall in love with Lucerne as we did Grindelwald, we still really enjoyed our time exploring beautiful Lucerne and would recommend you add it to your destination list when visiting Switzerland!